Action and speed are part of the charm and wonderment of Speed Racer in this movie edition of a childhood favorite. 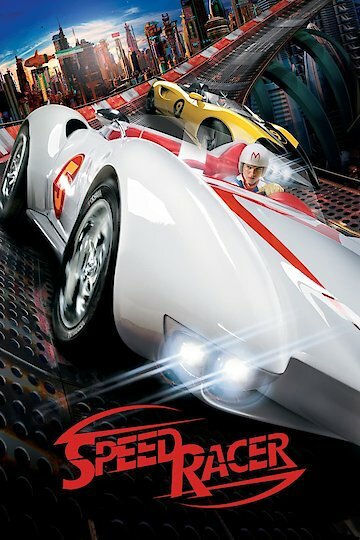 Speed Racer is the young and ambitious son of a race car inventor who has already lost one son to a terrible accident. This does not stop Speed from also wanting to be a racer. With encouragement from his girlfriend, Trixie, and Sparky, his friend and mechanic, Speed works hard to become a great racer. Speed has disobeyed his father and entered the Casa Cristo 5000, the same race that his brother died in. He believes he is a good enough racer to win the race, but he is sabotaged by an evil conglomerate that is after plans for an engine that his father has designed. The movie has all the famous characters, from Spritle and Chim Chim , the adventure-loving boy and his pet, to Pops, Sparky, and Racer X. Each character brings anime charm and acting style to the big screen. The acting is well rehearsed. The cartoon characters come to life as each does what is expected from our childhood memories. The race begins; the sabotage is unsuccessful as Speed destroys the coveted plans. Pops does not realize that Speed is in the race until it has already started, and Trixie takes her place above the track in a helicopter to spot for Speed. Of course the hero is victorious in the race but does not win the award because of the other race team's sabotage of the race. Speed comes across Racer X but does not discover his true identity initially. He suspects, and later discovers that Racer X is his brother Rex, who was presumed dead. Speed Racer is currently available to watch and stream, buy on demand at Vudu, Google Play, FandangoNow, iTunes, YouTube VOD online.